Cardiovascular or heart diseases are the leading cause of death worldwide, with continuously increasing mortality rates continuously increasing due to the aging population. As such, it is a priority of key players in the field of medicine to detect early symptoms of such conditions and provide an empirically-based profile of heart disease biomarkers. These data would then be triangulated into screening test results for further identification of a patient’s cardiovascular condition. Biomarkers are present in many kinds of diseases, and their identification is an important aspect of health management as it facilitates the early detection of a certain illness and the prevention of a full-blown medical condition. Among heart conditions, biomarkers could be further broken down into several categories due to the large number of illnesses associated with the condition. However, researchers have found that in many heart conditions, blood pressure and cholesterol levels are oftentimes true risk factors. 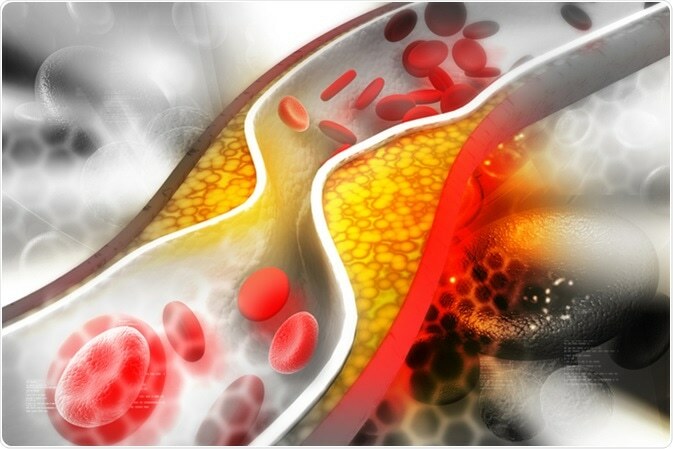 In particular, LDL cholesterol (LDL-C) levels are considered a predictive tool in the onset of cardiovascular diseases. Because of the increasing mortality rate brought about by cardiovascular and heart diseases, many contemporary researchers have focused on identifying new biomarkers that could further detect the risk for heart conditions. In 2010, the American College of Cardiology Foundation specified various areas that were found to be contributory factors to cardiovascular disease development. They are showcased in the table below. A study of novel biomarkers has also prompted the evaluation of new factors in specific heart disease identification. For instance, the myocardial stretch associated with BNP is currently being studied in relation to heart failure. Other proteins currently being evaluated include troponin I, neutrophil gelatinase-associated lipocalin (NGAL), as well as galectin-3. Family history of cardiovascular and heart diseases, as well as genetic abnormalities, may induce the risk of illness progression. As such, physicians would particularly pay attention to any history of such disease within the family. Recent studies have associated loci or genes with cardiovascular diseases. In particular, changes in DNA sequence and epigenetic profile have been found to be associated with heart diseases. These genetic biomarkers are already present at birth, but only become activated when exposed to certain related activities, such as co-morbid illnesses, environmental factors, and lifestyle practices. Even with the presence of modern medical technologies, the screening process for heart diseases remains to be a challenge. However, the advent of biomarker research in cardiovascular-related illnesses has been a great leap in characterizing and further developing new screening techniques for heart diseases. Doctors note key symptoms in diagnosing certain heart conditions; however, a confirmatory test would always be recommended to ensure correct diagnosis and appropriate treatment strategies. Nowadays, several screening tests are available for heart disease diagnosis. The treatment for a certain heart disease does not stop after operation or medication. As part of cardiovascular management, doctors would always want to monitor the heart’s condition post-treatment. These are facilitated through a number of methods by measuring blood pressure levels, cholesterol, body weight, blood glucose levels, and introducing physical activity or diet. Biomarker - What is a Biomarker?